Moqui marbles, unusual balls of rock that can be found rolling around the southwestern U.S. sandstone regions, were formed roughly 2 million years ago with the help of microorganisms. This discovery by a University of Nebraska-Lincoln research team has implications for finding life on Mars and for better understanding Earth's past. 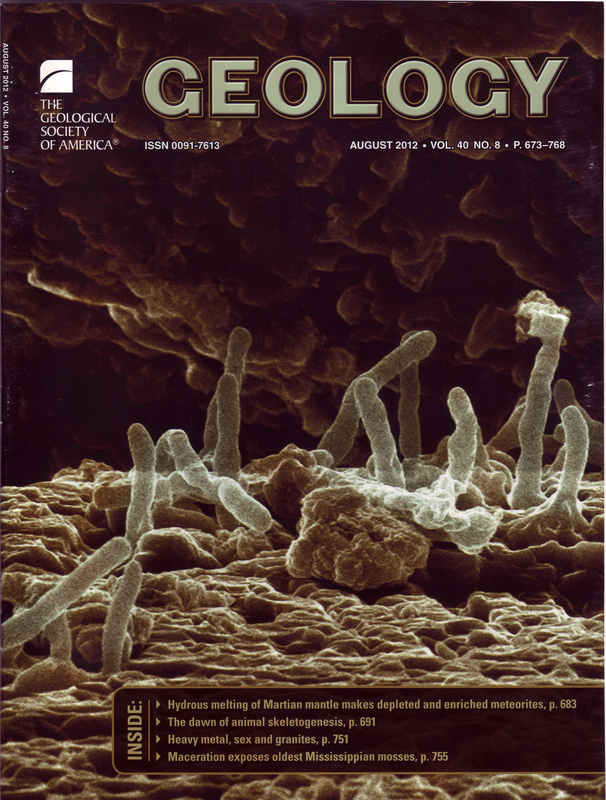 The research by Karrie Weber, assistant professor of geomicrobiology and microbial biogeochemistry, and her colleagues is featured on the cover of the August issue of Geology, the journal of the Geological Society of America. Moqui marbles, which range in size from BBs to cannonballs, weather out of sandstone and have a hard, round shell made of iron oxide, or rust, and a soft, sandy interior. Previous theories of their formation had suggested a chemical reaction devoid of life, but Weber's team discovered clear evidence that microorganisms played a role. With limited organic carbon or light to feed on, microorganisms instead used siderite, a mineral containing iron carbonate, as an energy and carbon source, a process that oxidized the iron and turned it into iron oxide. It also produced acid, which dissolved the iron carbonate into iron and carbonates that dispersed to the mineral's exterior lining. The process continued until a thick shell of iron oxide formed, leaving a bleached sandy core containing little iron. Microorganisms further converted the inorganic carbonates into organic carbon. To determine that microorganisms were involved, researchers looked for telltale signs of life, principally nitrogen and organic carbon. Compared to minerals, living beings usually contain a "lighter" isotope of carbon, or one with fewer neutrons, and chemical analyses indicated the presence of this lighter carbon. Looking at the material using a field emission scanning electron microscope, they discovered structures that resembled microorganisms. Nanoscale geochemical analyses conducted by colleagues at the University of Western Australia provided a detailed chemical composition of the structures that further indicate microbial life. "We found iron oxide is associated with these organic carbon structures that resemble microorganisms," Weber said. "So all of the information put together tells us that microbial life was present, active and played a role in iron biomineralization." The discovery demonstrates that life could persist in this type of rocky, iron-rich environment. It provides a guide for searching for life elsewhere on Earth, or even on Mars, the focus of much scientific investigation, where similar structures have been found. This allows for a target that can be identified more easily than having to search at the fine scale, such as looking for DNA, Weber said. Weber is collecting samples from environments in Colorado and Nebraska where microorganisms are oxidizing iron and she will study that process in more detail in the laboratory. 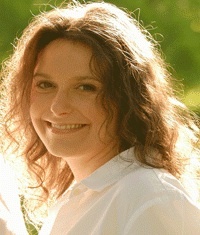 She also is investigating similar processes in which microorganisms are chemically changing the current environment. Weber's team included David Loope and Richard Kettler in UNL's Department of Earth and Atmospheric Sciences, research assistant Trisha Spanbauer, and Matthew Kilburn and David Wacey at the University of Western Australia.